Exclusive! Kate Somerville’s Tips On Achieving Your Best Skin In 1 Week! (Part 3) Plus Q&A From Brides! | beauty. bikes. Exclusive! Kate Somerville’s Tips On Achieving Your Best Skin In 1 Week! (Part 3) Plus Q&A From Brides! Hello hello! So, we’ve been counting down to the best skin you can get in six months thanks to the lovely tips from Kate Somerviile. If you haven’t read Part 1 & Part 2 yet, I suggest you do that before continuing with this post. At the end of this, Kate replies to all the burning questions you have about skin care while preparing for your big day! Let’s begin ..
Timeline: One Week Before Your Big Day!!! Cleanse with Gentle Daily Cleanser. Exfoliate with ExfoliKate Intensive Exfoliating Treatment for 2 minutes in the shower. Mask: To get that dewy, red carpet glow, use Quench Hydrating Mask and leave on for 5-10 minutes. It will lock in water, and leave your skin unbelievably smooth and baby soft. Rinse and pat dry. Treatment: Immediately afterward, apply DermalQuench Liquid Lift. Hydrate: Apply your favorite moisturizer. Eyes: Apply your favorite eye treatment. Sunscreen & Makeup: Don’t forget to apply sunscreen! If you need to wear make-up during that week, use mineral make-up; it is very gentle on the skin and will provide an extra barrier of sun protection. Jessica Alba has declared that she’s a fan of Quench! Treatment: Apply a hydrating serum. For oily skin, I recommend Quench Oil Free and, for dry skin, the best ally is Quench Hydrating Serum. Hydrate & Eyes: Repeat your morning moisturizer and favorite eye cream. Give your skin a break. Apply all the products you used on Monday except ExfoliKate & Quench Mask. Peel: Use Clinic to Go Resurfacing Peel and leave on for 2 minutes. Rinse and gently pat dry. Repeat Monday’s regimen. Don’t forget ExfoliKate Intensive Exfoliating Treatment and Quench Mask! The Big day is finally here. Hydrate, hydrate, hydrate! After you cleanse your skin, apply DermalQuench Liquid Lift, and lock in the moisture with a hydrating serum. Use moisturizer and eye cream, as usual, and drink plenty of water through the day. 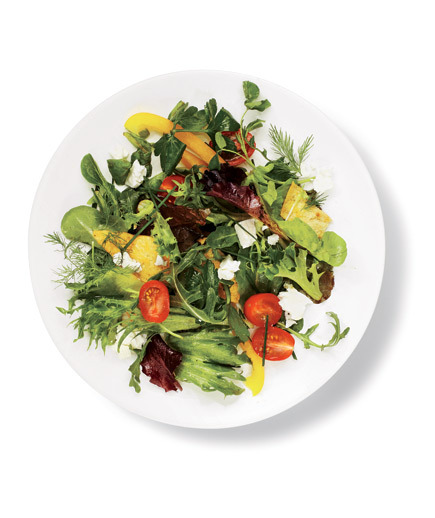 If you are planning on having a rich dinner, avoid salts and have light meals packed with vegetables throughout the day. Leave yourself enough time to do your hair and make-up stress free, and don’t forget to enjoy every single moment of this special day! Are there any miracle products for getting radiant and glowing skin in an instant? Inspired by my most sought-after Clinic treatment, DermalQuench Liquid Lift provides immediate and long term results, by locking in an infusion of Oxygen and Hyaluronic Acid, increasing the hydration levels and boosting radiance. If you have exposed your skin to environmental stressors such as pollution, smoke or sun, or simply feel that your skin looks tired, DermalQuench Liquid Lift will give your complexion that much needed boost of Oxygen. It immediately addresses the signs of aging and keeps skin hydrated. You will see dramatically smoother, brighter, healthier-looking skin after just one treatment! What type of skin treatments should we avoid closer to the wedding date (E.g. Laser peels, Botox) and which are safe to use? My advice is to never have a new procedure or treatment or use a new product right before a big occasion. You don’t know how your skin is going to react. Test a new product or procedure three to four weeks before something important, that way there is time for your skin to calm down. It’s also never a good idea to perform extractions yourself. When you try and pop a pimple incorrectly, you are breaking the skin and creating an injury, which can leave a scar. Which products should we use to reduce the appearance of scars/hyperpigmentation? D-Scar Scar Diminishing Serum, is designed to reduce the appearance of scars and uneven texture. It’s a high-tech rollerball serum packed with Peptides and Botanical Extracts to flatten and improve the appearance of both new and old scars, while also smoothing and softening the area. After just 4 weeks, 100% of users reported significantly improved scar texture and smoothness! Daily Discoloration Perfector is a highly effective anti-aging moisturizer that dramatically improves skin tone and texture. Based on years of clinical research, it brightens the appearance of skin to reveal radiance and create a beautiful glow. This rich, hydrating, multi-tasking formula offers a comprehensive solution that fades the look of discoloration and dark spots, and reduces the appearance of fine lines and wrinkles. What products should we use to reduce the appearance of fine lines/wrinkles/aging? Deep Tissue Repair is my “dream cream” because, not only is it an intense moisturizer, but it also dramatically diminishes any fine lines and wrinkles. I also really love DermalQuench Liquid Lift to address the signs of aging for immediate and long lasting results! Because of its cutting-edge, unprecedented delivery system, it creates smoother, younger, and healthier-looking skin than I ever thought possible for an at-home product! Also, spending time in the sun increases the risk of skin cancer, premature aging, and sun damage. To decrease these risks, apply an ample amount of sunscreen over your moisturizer. 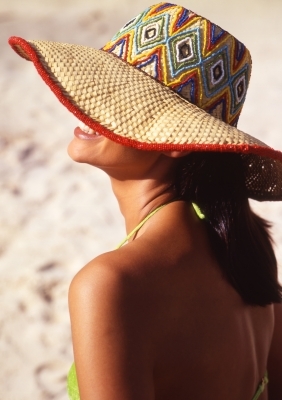 Use a product that provides true broad spectrum UVA/UVB protection. If a bride has sensitive skin, what products/treatments should she use before the wedding to ensure that her skin does not flare up during the big day? Avoid anything too aggressive or any facial treatment that could irritate your skin and always select products that are clinically tested safe for sensitive skin. Also, never try anything new right before a big occasion. We hope you’ve enjoyed this 3-part series! Big thanks to the team at Kate Somerville for arranging this and providing the information. 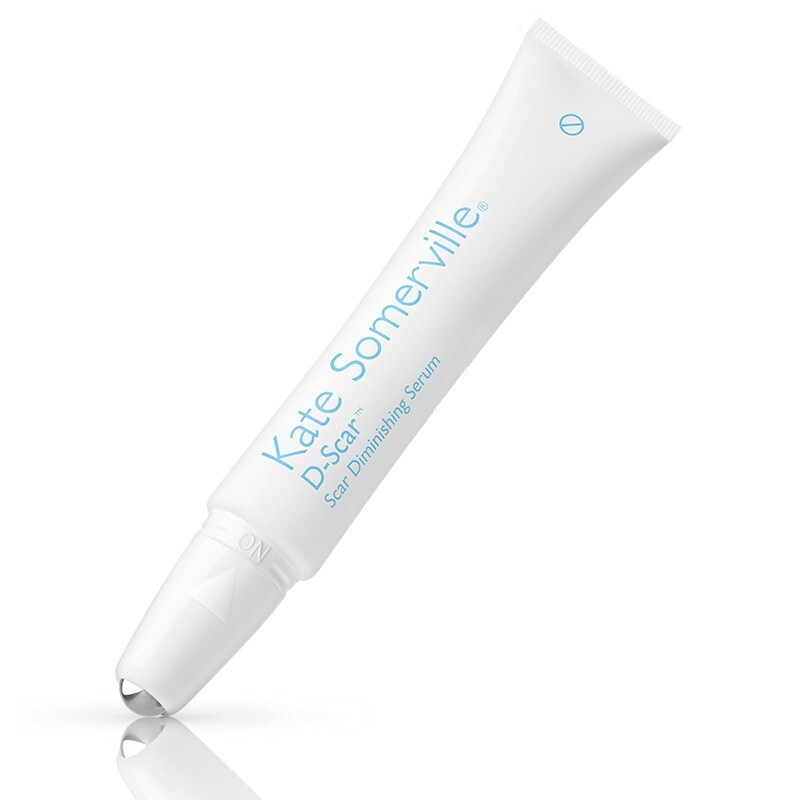 In Singapore, Kate Somerville is available at Sephora. Tags: bridal, Kate Somerville, skincare. Bookmark the permalink.